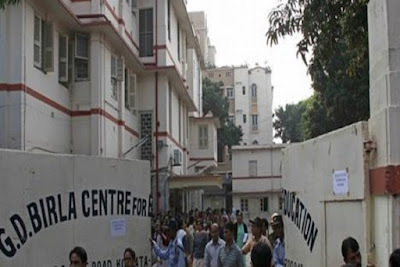 The management of Kolkata's GD Birla school has suspended one of the accused in connection with a four-year-old girl's alleged sexual assault by two teachers of the institution inside the school premises, reported ANI. The West Bengal Commission for Protection of Child Rights (WBCPCR) has also sought the arrest of the principal of the GD Birla Centre for Education. Principal Sharmila Nath could have dealt with the matter in a sensible manner, WBCPCR Chairperson Ananya Chatterjee Chakraborti told PTI. "On the contrary, she (Nath) denied the incident first. Under the POCSO (Protection of Children from Sexual Offences) Act, she is also an offender. The arrest of the principal is much needed. I have spoken to the Kolkata Police commissioner and told him that she must be arrested," she said. Chakraborti also asserted that the commission would initiate legal action against the school management for shutting down the institution for an indefinite period. "They (the school management) cannot jeopardise the future of the 7,000 students studying there. We will definitely take legal action against the management of the school for this," said Chakraborti, who, along with other WBCPCR members, paid a visit to the GD Birla Centre for Education in south Kolkata this morning. The WBCPCR has also sought the medical report of the child victim from the police. Two physical training teachers of the school were arrested last week for their alleged role in sexually abusing the nursery student during the school hours.